Hurry over because right now Amazon Prime Members can score this Calico Critters Hot Dog Van for just $13.97 shipped (Retail $39.95)! Please note, this item will be in stock on June 8th but you can purchase now and it will ship when available. 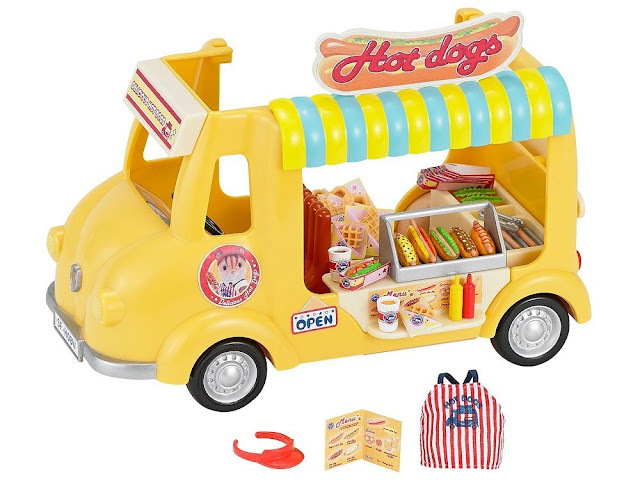 This hot dog van set includes over 40 pieces such as hot dogs, pretzels, waffles, fries, drinks and more! It also features rotating tires and a steering wheel.